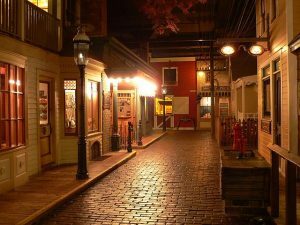 The Milwaukee Public Museum (MPM) officially opened its doors to the public in 1883, during a time when Milwaukee, like many other American cities, began to place great value on museums. 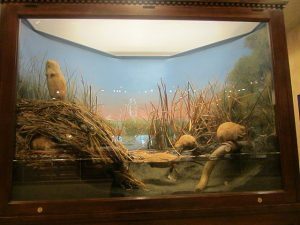 At its inception, MPM laid claim to a varied collection of approximately 20,000 objects, most of which had originally been in the collections of the Natural History Society of Wisconsin and were valued at $30,000. The museum employed two staff members: Carl Doerflinger, the Museum’s first director, and Carl Thal, its first librarian. The museum’s first home was 7,000 square feet of rented space in the Exposition Building. In 1887, the Milwaukee native William Morton Wheeler became the Museum’s second director. During his short, two-year tenure, Wheeler created the first museum outreach program in the United States, bringing school classes and developing a loan system in which students and teachers could borrow certain items from the Museum’s collections. The popularity of these programs led in 1911 to the creation of a separate Department of Public Instruction. This Department evolved into the Museum’s Education Division, which in 1981 welcomed 15,443 school children. Wheeler accepted the position of Curatorship of Invertebrate Zoology at the American Museum of Natural History in New York in 1903 and would later be elected to the National Academy of Sciences. Wheeler’s administration also saw the museum’s 1898 move into a wing of the Milwaukee Public Library, which was designed by the Milwaukee architectural firm Ferry and Clas. Henry L. Ward, who became the Museum’s fourth director in 1905, set a goal of expanding the focus of MPM beyond the natural sciences. Ward commissioned an addition to the Museum’s Grand Avenue building that would be dedicated to the study of history. In 1912, Ward served the president of the American Association of Museums. The Museum experienced a period of relative calm until the beginning of the Great Depression. Like other public institutions in the 1930s, MPM experienced economic difficulties. Samuel A. Barrett, the Museum’s director from 1920 until 1940, helped the institution endure hard times by partnering with the Works Progress Administration (WPA). From 1935 until 1941 MPM was awarded over a dozen projects created by the WPA, as well as its predecessor, the Federal Emergency Relief Administration (FERA). These projects included the commissioning of Myron Nutting, a professional artist with the Federal Art Program (a part of the Works Progress Administration), to paint murals at the Museum during the early 1930s, repairing the mosaic floor of the rotunda, and introducing the “State-Wide Program” to financially assist other museums in the state. Late in the 1940s, Will C. McKern chose to move the Museum to a new location. 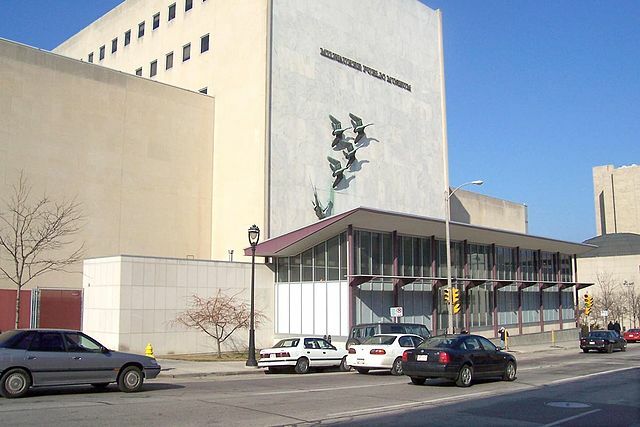 Since January of 1898 the Museum had been housed in the Milwaukee Public Library. Ground was broken on West Wells Street between Eighth and Ninth Streets in 1960 and the Eschweiler & Eschweiler-designed building was completed three years later. It remains the home of MPM. The Museum continued to be an innovator. In 1963, for instance, it founded the Museum Studies Program, a cooperative venture between the University of Wisconsin-Milwaukee and MPM that was one of the first programs of its kind in the country. Its purpose was—and remains—to train graduate students for professional entry level museum positions. In 1972, the museum instituted an entrance fee. As would be expected, this proved to be unpopular. As a result, the city of Milwaukee sold the Museum to Milwaukee County in 1976. In 1992, a public-private partnership was formed, creating Milwaukee Public Museum, Inc., a not-for-profit museum corporation. Under this arrangement, Milwaukee County retained ownership of the collections and the facility and the MPM, Inc. operated the Museum. Today, the Museum holds more than 4.5 million specimens and artifacts in its collections on human and natural history. ^ The Milwaukee Journal, February 14, 1963, “City Museum 60 Years Old: Started with One Room,” p. 19, accessed July 22nd, 2015, https://news.google.com/newspapers?nid=1499&dat=19430214&id=J7UWAAAAIBAJ&sjid=8CIEAAAAIBAJ&pg=1528,4905991&hl=en. ^ Lurie, A Special Style: The Milwaukee Public Museum, 1882-1982 (Milwaukee: Milwaukee Public Museum, 1983), 7-9. ^ Lurie, A Special Style, 8. ^ Lurie, A Special Style, 9-13. ^ Lurie, A Special Style, 16-18. ^ Museum of Natural History, “Akeley Hall of African Mammals,” accessed November 12, 2014. ^ Lurie, A Special Style, 18-19. ^ George Howard Parker, Biographical Memoir of William Morton Wheeler, 1865-1937 (n.p. : National Academy of Sciences, 1938) accessed November 10, 2014. ^ Lurie, A Special Style, 22. ^ Lurie, A Special Style, 35, 39. ^ Lurie, A Special Style, 45. ^ Lurie, A Special Style, 66-69. ^ The Living New Deal, “Milwaukee Public Museum Murals,” accessed January 16, 2015. ^ Lurie, A Special Style, 70. ^ Lurie, A Special Style, 88. ^ Lurie, A Special Style, 25. ^ Lurie, A Special Style, 109. ^ Milwaukee Public Museum, “Facts and Figures Guide,” 2013, p. 6. ^ Milwaukee Public Museum, “Facts and Figures Guide,” 2013, p. 4. ^ Milwaukee Public Museum, “Facts and Figures Guide,” 2013, p. 7. Lurie, Nancy Oestreich. A Special Style: The Milwaukee Public Museum, 1882-1982. Milwaukee: Milwaukee Public Museum, 1983.